FI-STAR will establish early trials in the Health Care domain building on Future Internet (FI) technology leveraging on the outcomes of FI-PPP Phase 1. It will become self-sufficient after the end of the project and will continue on a sustainable business model by several partners. FIESTA aims to empower Experimentation-as-a-Service (EaaS) for sharing and reusing IoT data. The project is going to provide a blueprint experimental infrastructure, tools, techniques, processes and best practices for enabling IoT testbed/platforms operators to interconnect their facilities in an interoperable way. Potholes, graffiti or burned out lamps: everyone has seen such nuisances in public spaces. If there were only a way to let the right people in local government know! With Mashup technologies and mobile applications, the right solution can be delivered quickly. The project is part of the Fraunhofer MAVO (“Marktorientierte Strategische Vorlaufforschung”, German for: “Market Oriented Strategic Advanced Research”) Initiative and is considered of top strategic relevance in the scope of wireless communication for the Industry 4.0. The FLEXCARE project adds significant value to the EU FP7 FLEX project, by providing highly relevant new capabilities to experimenters in the field of LTE research and beyond (5G). Within the framework of the Fraunhofer Academy, the business unit ESPRI – collaborative safety and security developed training courses for specialists and users in the CyberSecurity learning laboratory with the University of Applied Sciences Berlin (HTW Berlin). The Cyber Security Learning Lab of the Fraunhofer Academy is a cooperation between Fraunhofer and selected universities of applied sciences. 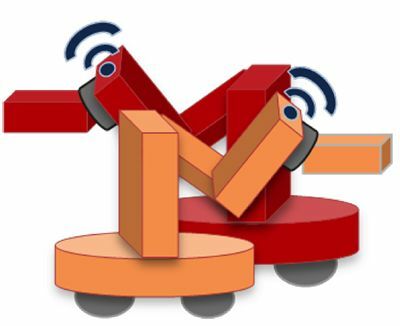 The project FunctionalDMU offers an interdisciplinary approach to the functional development of mechatronic systems. Its main thrust lies in the way it extends 3D-construction prototyping (DMU) to cover behavior models which can exist in various modeling languages for a variety of simulators.